Staff from the Commonwealth Bank of Australia at Sydney Olympic Park has organised a special bbq and cupcake sale on Tuesday 26 May to raise funds for Nepal following the devastation of the 7.8 magnitude earthquake and its many strong aftershocks. 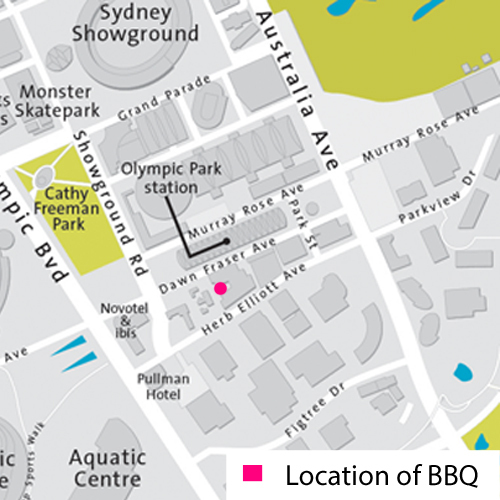 They are asking anyone who will be in Sydney Olympic Park around midday to leave your lunch at home and purchase a BBQ lunch instead, and if you have a sweet tooth a cupcake as well. The BBQ will cater for all taste buds offering meat, chicken and vegetable options, with prices ranging from $3 to $4 for food, and $2 for a drink. CBA staff is ensuring every individual dollar raised as part of the event will go directly to people in Nepal who need assistance.